DES MOINES, Iowa — A 100-year-old woman has exceeded her goal of sewing 1,000 dresses for needy children in Africa as part of her contribution to a Christian charity that assists impoverished families worldwide. Lillian Weber of Iowa has been making dresses for the organization Little Dresses for Africa since 2011. 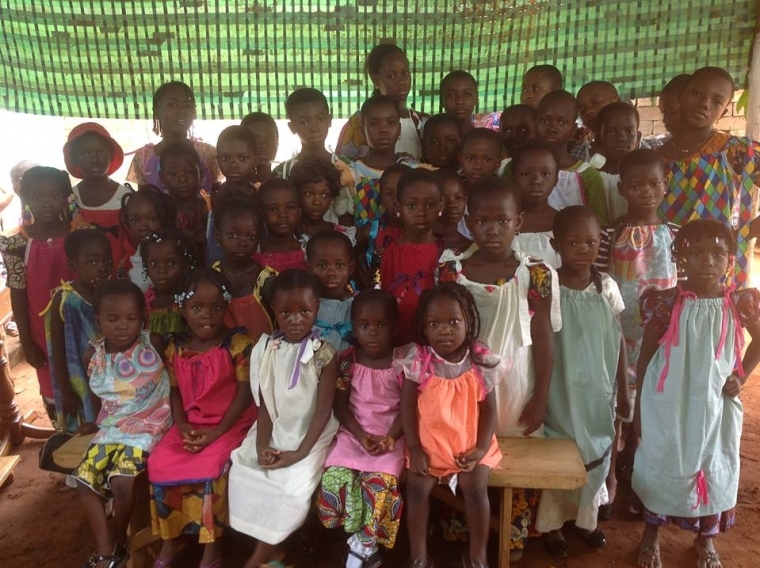 Little Dresses for Africa has reportedly provided over three million dresses to poor children in over 50 countries. Last year, at 99 years old, Weber told reporters that her goal was to sew 1,000 dresses by her 100th birthday. On May 6th, she exceeded her goal by over 50 dresses, sewing 1,051 dresses. Little Dresses for Africa honored Weber on her birthday, presenting her with a plaque for her service and achievement. Last year, Weber explained that she makes one dress every day, starting it in the morning and finishing it in the afternoon. “I could probably make two a day, but I only make one,” she told WQAD-TV. Her daughter, Linda Purcell, said that Weber takes the time to make every dress unique and special. And Weber plans to keep sewing and being a blessing. Rachel O’Neill, founder of Little Dresses for Africa, says that Weber’s gift of love has been a blessing to many little girls.